The princess waits as the prince cups her face and moves in for her first kiss. Breathless, I leaned forward in my chair and watched yet another movie with the kiss as the final resolution. Or when they rode off into the sunset, knowing they were made for each other. Happy was I when a movie or book actually went all the way to the wedding day! There, that was the point of their Happily Ever After. That will be mine one day, I used to think. Boy, was I wrong. When things didn’t work out quite like I imagined and expected, I figured it was my husband’s fault. He wasn’t being the husband I needed. After many years of blaming, God finally got it through my thick skull that most of the problems stemmed from my unrealistic expectations. Do you still expect your husband to meet all your needs? I’m not talking about legitimate expectations; I’m talking about the pie-in-the-sky, fairytale ideals that we’ve been fed since birth. If so, don’t worry, because I’m going to tell you how you, too, can have a more satisfying, connecting, and realistic marriage. 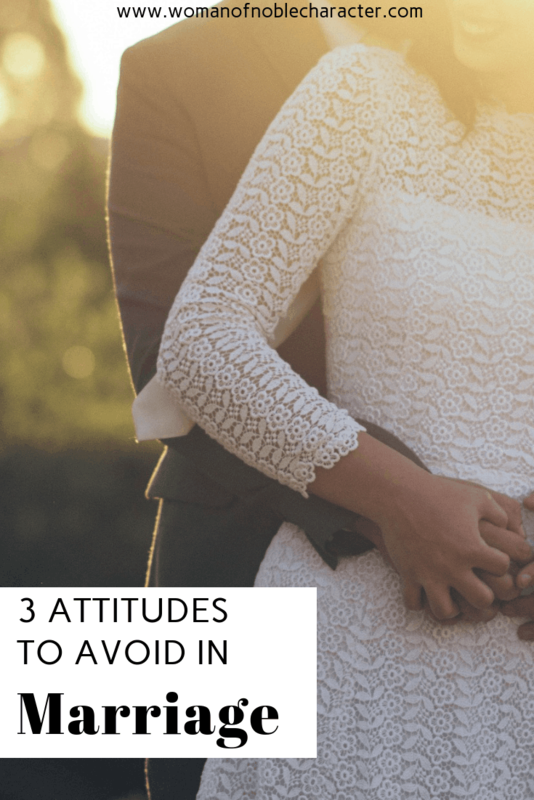 In my 16+ years of marriage, I have found three attitudes I find myself falling into over and over that always lead to misery. 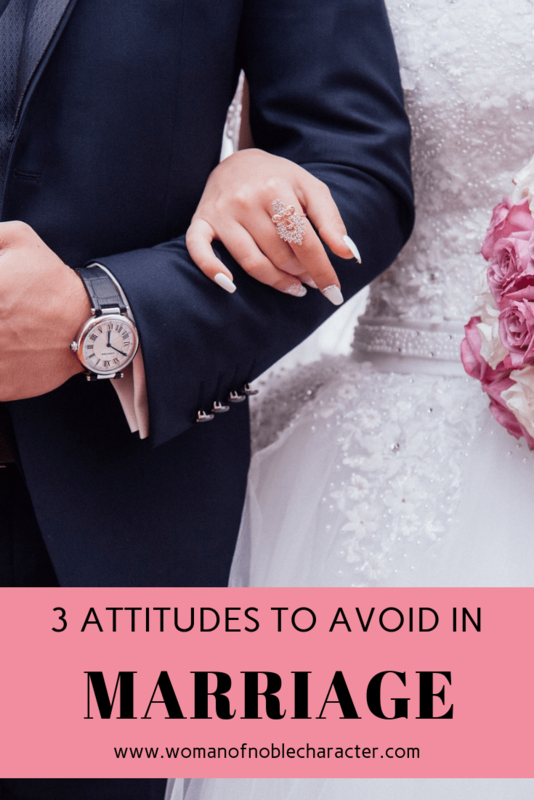 Here are not only the three attitudes but also practical advice on how to avoid them (or how to get out of them if you’ve already fallen into their trap), things I wish I had heard when I first got married. Thinking only of myself. When I focus on getting my needs met, my husband suffers. And when he is needy, and I am needy, neither one of our needs gets met. Our default setting is selfishness. “What’s in it for me?” is our mantra. Marriage becomes a quid-pro-quo relationship, thinking “I’ll give you this, if you give me that.” It quickly degenerates into, “I’m not doing this, because you didn’t do that.” Then it becomes a blame game. Instead, we need to daily pray, asking the Lord to help us deny ourselves (Matthew 16:24) and place him above ourselves. Thinking myself higher than my husband. When I focus on myself as superior, I put my husband down and destroy his confidence. Now, there are going to be areas we are stronger in than our husbands. That’s why God put us together. God gave Eve to Adam to be a helpmeet, to help him in areas he couldn’t do all by himself; it wasn’t good for him to be alone (Genesis 2:18). However, we shouldn’t lord it over him, and we definitely shouldn’t belittle him about his weaknesses. That will destroy his self-confidence. And it will destroy his trust in you. Instead, we need to remind ourselves to be grateful to God for giving us the husband he did. Give thanks for his strengths where you are weak. Thinking of my husband higher than he is. Unfortunately, it’s easy for us to swing in the opposite direction and go to the other extreme. 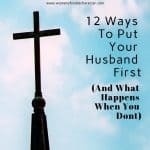 We’re supposed to put our husbands before ourselves; not before everything. God’s place in our life should come before even our husband’s. God is the only One who can satisfy us anyway. We like to use the word “needy” to refer to a woman who clings too tightly to her husband. That’s just a nice way of saying that she’s replaced God with her husband. Instead, we need to run to the Lord first. Look to Him as the Source of all of our needs and wants. When we feel undervalued or unappreciated, run to Him in prayer. Go to the Bible verses that describe how much He loves us. When we feel empty or lonely and just want a human’s touch, run first to God and ask Him to wrap His spiritual arms around your heart. Wait for His touch, and anything else will seem like overabundance. We can avoid the traps of unrealistic expectations if we learn to think as we should. When we think of ourselves only, root out that Selfishness with verses about self-denial. When we think too highly about ourselves, root out that Pride with gratitude and humility. When we think too highly of our husbands, root out that Idolatry with repentance and running to the Lord. For some specific examples of how to plan a date that will connect you more with your husband, go to my blog post and sign up for the free list of 5 Ways to Spice Up Romance This Weekend. Lila is outnumbered by a houseful of males: wife to the only love of her life for 16 years, homeschool mom to two energetic boys, and caterer to a hyper dog named Copper. She loves purple, sushi, dark chocolate, and reading. 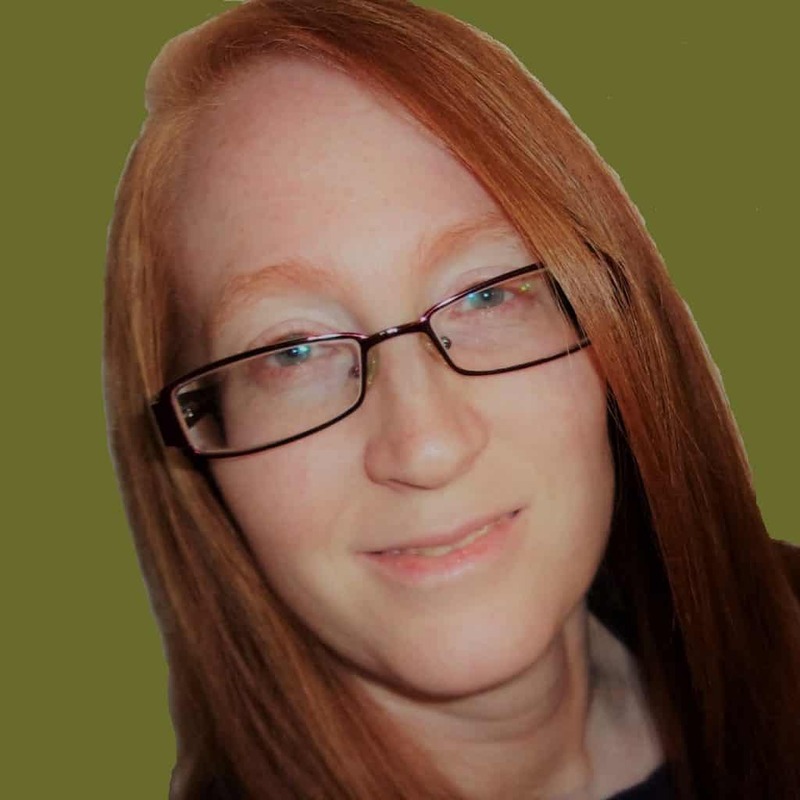 As the author of the “Love is…” series and a blogger at Creating Romance, she loves to help readers create romance in their marriages and draw closer to Jesus. You can find her at liladiller.com or in her private Facebook group at www.facebook.com/groups/creatingromance. You may also enjoy three steps to navigating a difficult relationship. 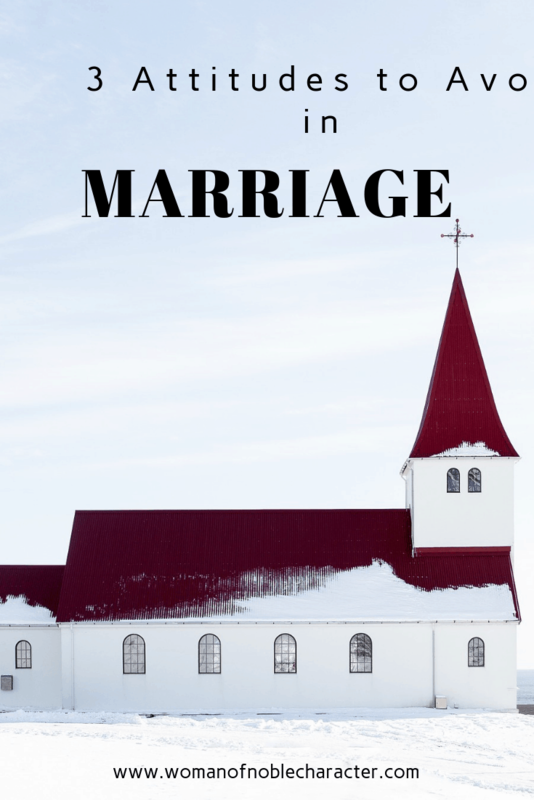 A Christ Centered Marriage may not be what you think it is. Click HERE for more. 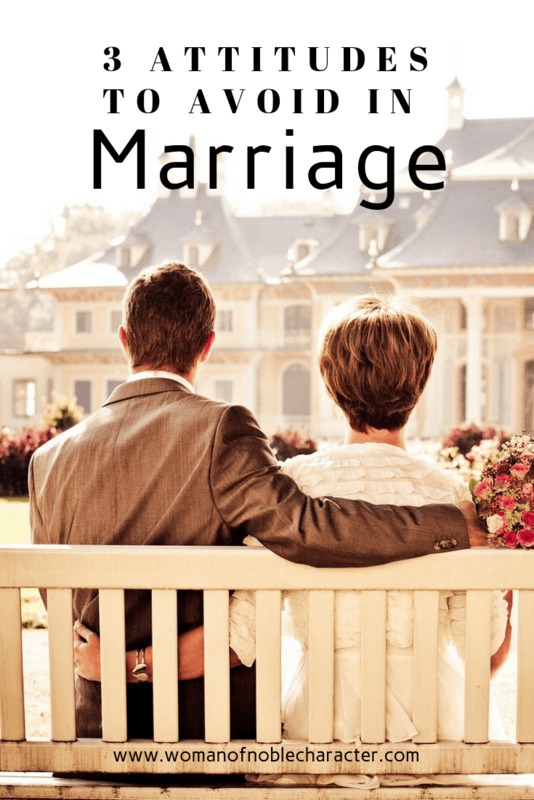 For more on Christian marriage, consider my book, The God Centered Marriage.